A little bit of this, a little bit of that: mostly about life in general, about my family, and things worth sharing with others. Wednesday, 8th August saw me taking a break to go to T'aif on a visit for some bank-related work. This time, my pharmacy friend Mr. Mohammed was going to T'aif, where he lives, in his own car, and I requested him to take me with him. He was very kind, and he actually came near my house to pick me up. We left at about 1.00 p.m., and arrived at T'aif at around 2.50 p.m. He went out of his way to drop me near the Gazzaz mall before going away to his own place which is in another area of the city. 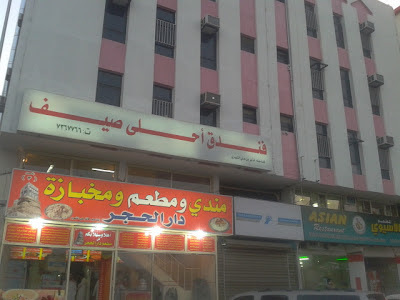 Being the foodie that I am, I was aware that if I wanted to bring any eatables from T'aif, I would have to stay overnight, as the mall (T'aif's Heart Mall, which I usually go to) and other eateries would be closed during the day, it being Ramadan. I went to the usual place to stay, which is the Nouf Hotel next to the Gazzaz Mall, but I was told that no small rooms were available. The big ones were SR 200 per night. I cringed, and decided that this time, I would try and locate something better. Just a few meters away stood a hotel called the Ahl-a-sif. It is located above the Asian Restaurant that I usually have my meals in whenever I am in T'aif. The manager was a middle-aged but dignified Egyptian called Mr. Mohammad. 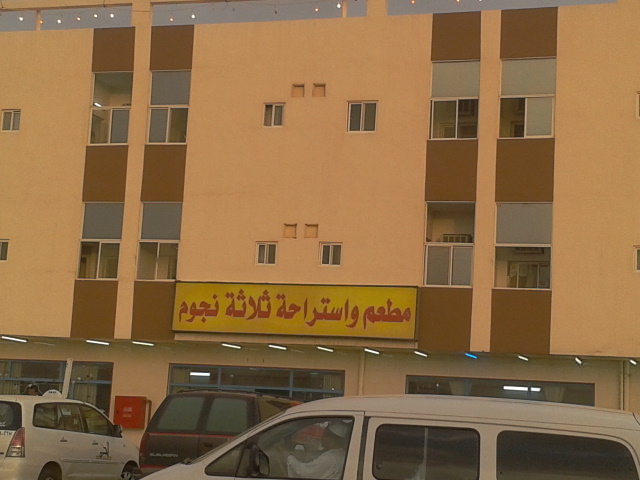 He quoted a rate of just SR 120 per night. I went and checked the room he allotted me - # 112 on the first floor. It was nice, clean, and well-appointed. I took it and settled down. Soon after checking in, I went down to purchase a few things from the Malayalam stores located in the area. I also placed calls from the calling cabins, to my mom, and to Nish to inform her about my arrival in T'aif. My next port of call was the Tahweel Al Rajhi, but, not surprisingly, it was closed for then and would open after 9.30 p.m. I then returned to my room and activated the internet that was available for free ... the manager had supplied me the password to run it. Over the rest of the day, and for the next 2 days, I downloaded several movies on to my laptop, as well as several songs, ghazals etc. ... thanks to this fast wireless service. After Maghrib, I went for a walk, then back to the room, then again down, to the Bank for my transfer of money to India. Thereafter, I went to the Asian restaurant for my dinner. Had a chicken masala and roti/rice, topped with tea. It was already past 11.00 p.m. when I came out, and I decided that I would visit the mall the next evening, thus ensuring that I would stay one more night at T'aif. The next day, Thursday, saw me sleeping late into the morning. Most of the morning and afternoon were taken up reading, surfing, praying and lazing around. 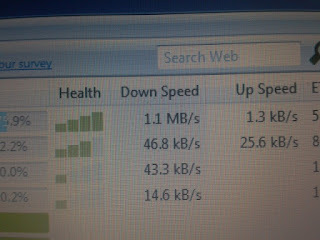 The download speed was so terrific ... here is a picture that proves it. I could download a movie (850 MB) in less than 10 minutes! I went down at about 3.30 p.m. and caught a dabbab taxi to go to visit the zoo, a place where I might succeed in passing the time fruitfully. The place is located about 5 km away, and , again, not so surprisingly, it was locked for the day. I was told that I could visit in the night! How about that, dear reader? A zoo at night? To see sleeping animals? Ha ha. After Maghrib, I made my visit to the mall, where I picked up diverse items from the food court. Thence, I left and went back to my room where I put all the purchases into the mini-refrigerator that the room had. I then went back to my room and prayed. Later in the night, I had a very enjoyable time discussing a few pediatric cases on the MRCPCH Part 2 group page on Facebook. The Friday morning was spent doing nothing really constructive. I decided to depart after 3.00 p.m. Accordingly, I checked out after the dhuh'r prayers and went to the SAPTCO stand by dabbab. The next bus was due at 4 o'clock; in the event, it actually turned up at half past 4:00 p.m., and left at a few minutes before 5 o'clock. At about 20 minutes after six, the bus slowed down and went into a public spot with a restaurant, a hotel, many food stalls and a mosque. For iftaar. This was about 35 minutes before the iftaar timing ... but such is the management here. The entire space here was full of hundreds of people, tens of cars, and many ready to eat food stalls, plus at least four or five "bakallas" or super-markets. Stalls selling hats, toys, etc. Can you see the people behind standing in a row and praying? 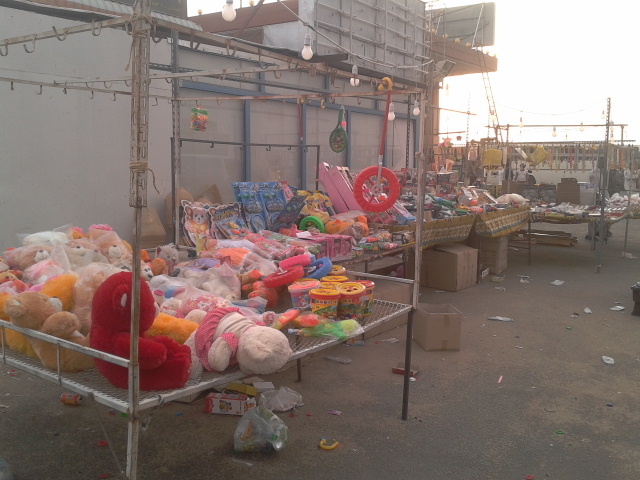 People were crowding at all places ... it was like a fair in India. Normal status = utter chaos. Surprisingly, though, at just a few minutes before the iftaar time, the dust settled and everyone sat down to break their fast. Those who were alone were invited to join groups ... e.g. me. The groups offered whatever they had with them to those who joined them. I had already bought some stuff, so I happily gave my food to them in return for their offering. 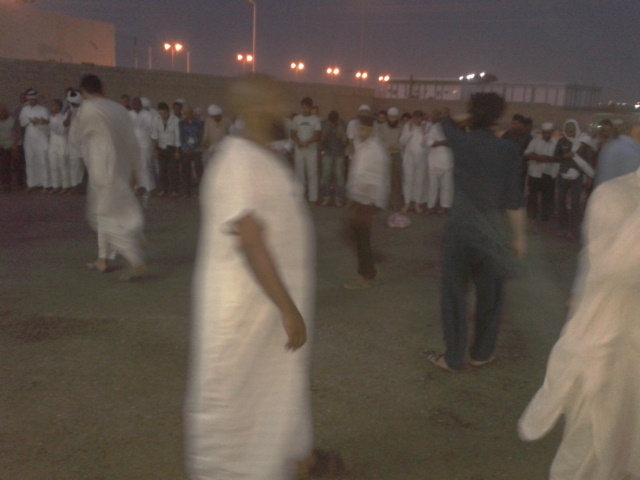 The carnival-like atmosphere did not deter the faithful from praying their namaaz, come what may. I am enclosing a few pictures of the general atmosphere and one of a group praying outside on the sand ... because the mosque was full. 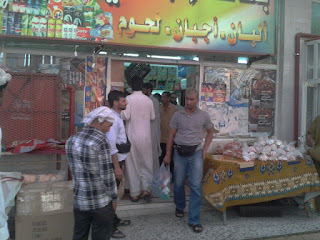 The bus finally moved at 7.40 p.m., and I reached Al Muwayh after 8.20 p.m. A Saudi gentleman who runs a super-market in Al Muwayh and who is the father of a patient I had recently managed in the hospital met me and offered to take me to my house. Thus, I was inside my place in less than 5 minutes. I unpacked, ran the washing machine, settled, surfed the net a little, then got up and went to the Pakistani restaurant for dinner. I had kheema with their large roti. Returned home and slept the night off. I have been exploring the e-age since more than 2 decades. I enjoy my time on the PC. I am always doing something or the other - almost three to five hours a day. I am a Professional person, a doctor, a Pediatrician. I am married and have two daughters. Currently, I live in the U.K. and am working as a Paediatric Trust Grade doctor with the Blackpool Victoria Hospital. This is a job with the NHS. 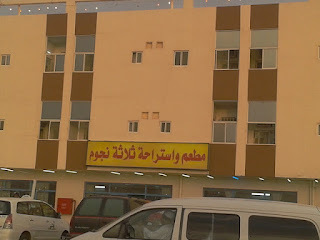 My stay in Saudi Arabia, c. Nov. 2011 onwards. Time to get into Shape! 5% Off orders over $50 + Free Shipping at Medical Supply Depot! Use code: SHAPE5 (Valid: 10/2-10/5/15) Shop Now!